Children have fun at Camp Concord. There are fun activities, games, swimming, crafts and more. All of these things create an enjoyable environment for children. Children love to have FUN! Camp Concord certainly provides a fun time for children, but its program also reaches and challenges children spiritually. This is the reason Camp Concord exists--to share the love of Jesus and the realities of His gospel. Reggie Joiner of reThink Group says every kid needs, “Another voice saying the same things parents say.” (Joiner, Loc 1064. ) In other words, children need other adults teaching them and leading them in spiritual things. These additional voices help to solidify what parents are teaching about Jesus and the Christian faith. Camp Concord provides counselors, directors, and pastors who are doing this! Children learn about faith in formal teaching environments and in informal interactions with camp personnel. 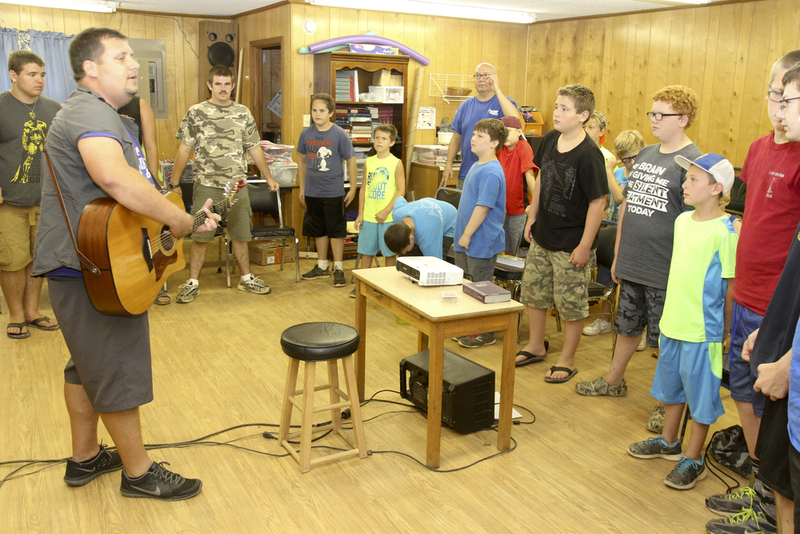 Typically, children are exposed to two large group worship/teaching events each day along with a small group devotional time with their cabin counselors. Then, there are the informal interactions occurring as God opens the door for them between a child and a member of the camp personnel. Children learn the importance of continued worship and devotion as these things are taught and modeled for them throughout the week. Camp Concord is a fun place for children to go, but it is much more than that--it is a place of spiritual development that is Christ centered. Joiner, Reggie: Thing Orange, Electronic Version, David C. Cook, 2009.